In the wake of the New Zealand terror attack which left 50 dead and 50 more wounded, messages of hope and love have abounded. People within the community and from all across the world have stood in solidarity to denounce the horrifying actions of the terrorist and show that such devastating acts will not divide us. 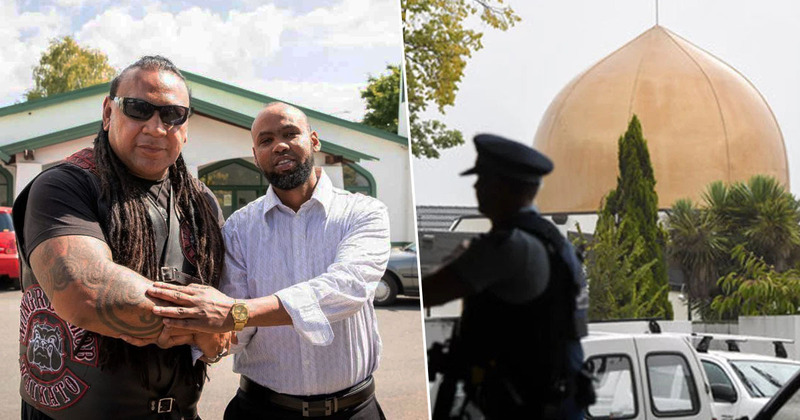 And now a New Zealand gang have pledged to stand guard outside a mosque during Friday prayers this week, in the hope that it will make worshippers feel safe. The Waitkato Mongrel Mob have committed to guarding the Jamia Masjid Mosque in Hamilton to make people feel safe enough to visit their place of worship. We will support and assist our Muslim brothers and sisters for however long they need us. We were contacted by a representative who tagged me in and said some of our Muslim brothers and sisters have fears for Friday during their prayer, and the question was posed whether we could be a part of the safety net for them to allow them to pray in peace without fear. Fatu continued to say there was no question whether the Waitkato Mongrel Mob would do just that, and would provide support for as long as it is needed. Of course we would do that, there was no question about that and we will be dressed appropriately. We will not be armed. We are peacefully securing the inner gated perimeter, with other community members, to allow them to feel at ease. Although the gang will not be armed, they will be making their presence known outside the Jamia Masjid Mosque as a deterrent action. And the head of the Waikato Muslim Association has said he hopes gang members will join them inside the mosque for Jummah (Friday prayers). Asad Mohsin said he appreciates the mob’s gesture of support, emphasising they are welcome to come inside the mosque at anytime. We would welcome them to come into the mosque and pray with us. They are a part of us as we are a part of them. Islam is inclusive, free of judgement – we don’t see gang members, we see them. We value them as humans and we appreciate that they value us too. Our thoughts are with the victims of the attack, their families, and the Christchurch community at this difficult time.